This cute applique pajama set features a cute bunny holding an applique umbrella with the words 'Falling to Sleep' on the front. The pants are an all-over print on deep purple background. 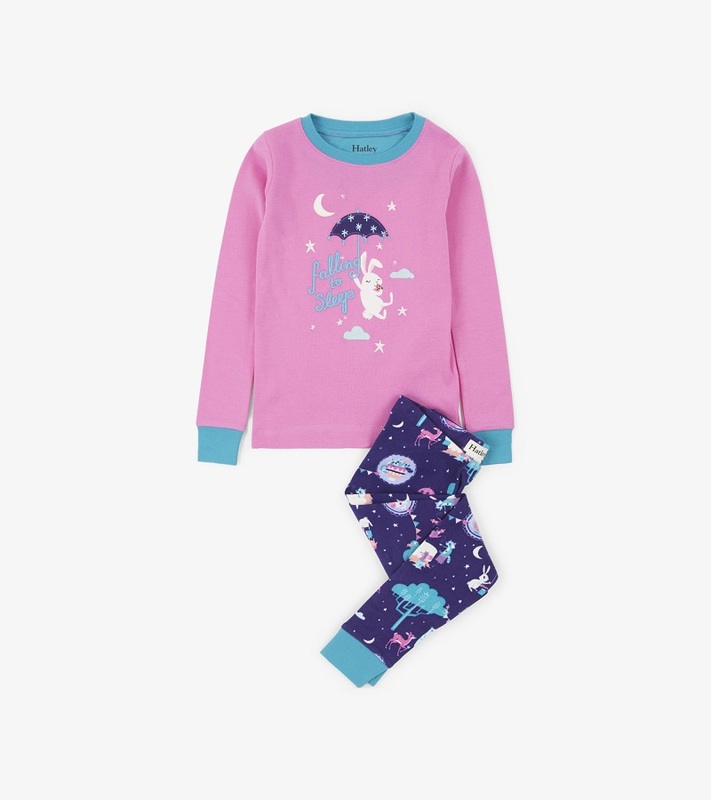 All pj's are made of 100% organic cotton by Hatley.